The entire Buck Nuggets product line contains essential vitamins, minerals, and nutrients that include some of the highest protein content available on the market. Eighty three percent of a buck’s antler mass consists of protein. 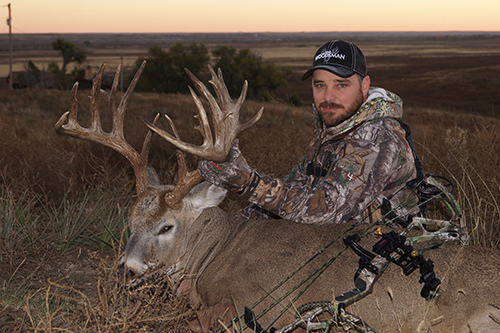 Our goal: make a protein-packed supplement that increases antler development. Not only did we accomplish our goal, but our ingredients also promote over-all herd health and increase enzyme activity in the deer’s digestive system, thus allowing greater nutrient absorption. Our Plus 20 additive gives you that extra 13% to 20% punch of protein that will make the noticeable difference that we have all strived for! Used during the hot summer months, Plus 20 will lower a deer’s internal body temperature and reduce stress. This allows for the production of bigger and better racks. Our Plus 20 additive is all natural and can be purchased in our Buck Nuggets pellets or in a tub. If you want to hold more deer, pattern more bucks and reach the full potential of each rack, then feed Buck Nuggets. 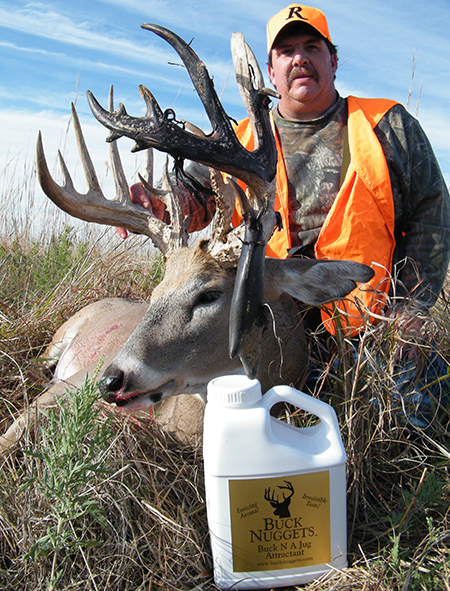 Check out our Gallery, to see some of our customer Trophy Shots.